8 stone rough "A" grade Welo opal parcel. 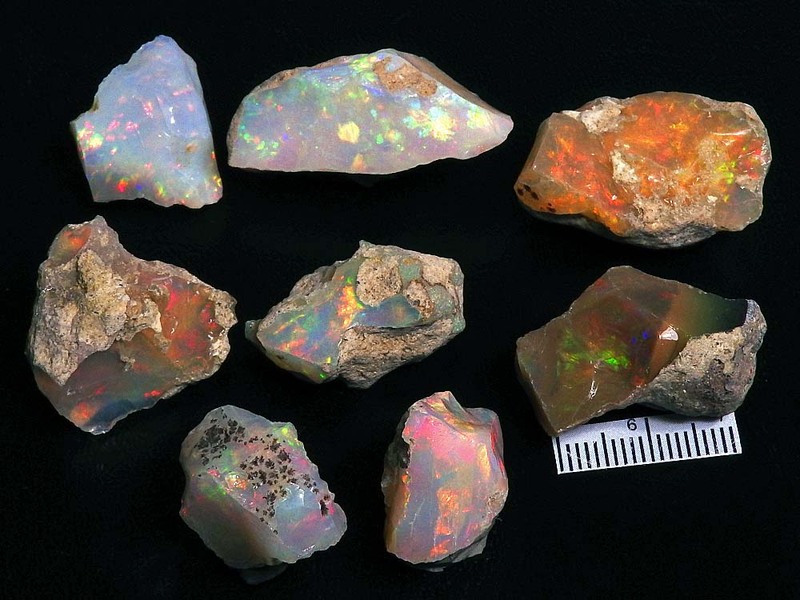 Good variety of rough opals from dark base to light opal similar to Coober Pedy opal. Individual weights: 6.9gm, 4.5gm, 4.0gm, 4.4gm, 3.8gm, 2.9gm, 2.9gm and 2.4gm. Scale=20mm. 31.7gm-1.02 ounces.